You can’t just expect to cram in your studies “when you have time”: in order to fully prepare for testing you need to have a specific action plan. Start by looking at how much time you have to prepare exactly. The week prior to the tests should be spent reviewing everything you have studied, so any time from now until one week prior can be spent studying. There’s not much use spending time studying for a case study or assessment centre exam when you know you have to pass a verbal or numerical reasoning test first. Start by studying for whichever test type you will be required to take first, once you have mastered those skills and passed the pre-selection test (if there is one), you can move on to other test formats. While knowing the content of assessment tests will certainly help you succeed at test time, it is also very important to understand the procedures behind the tests. For example, if you can improve your ability to read and comprehend quickly, you will likely do better on verbal reasoning tests by giving yourself more time, while practicing calculations can help when it comes to numerical reasoning tests. Meanwhile, practicing drafting essays will certainly help you when it comes to written essays by speeding up your composition skills. If you are applying for jobs in specific fields, such as engineering, consultancy, banking or computer programming, you may be asked to complete a skill test. Find some practice skills tests so you can ensure you are ready to show future employers how talented you are and showcase your domain specific knowledge to your assessors. 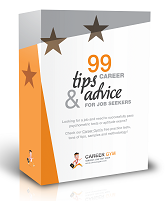 In the best case scenario you will land the first job you complete psychometric tests for. However, in case you don’t hear back right away it is important to keep working on your testing skills by studying and taking practices tests. Remember that the more practice tests you take, the higher chance you have of getting your future employer’s notice! Questions? Comments? Try our FREE verbal, numerical and abstract reasoning tests today!